To inculcate human values by character building and multidimensional personality development through innovation, problem solving, interdisciplinary collaboration and fostering thought leadership. 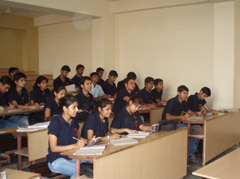 We strive to do this by serving our individual members with a programme that will emphasize our core values, including addressing challenges and opportunities in the service of equity and productivity for individuals and communities.The institute exists to benefit a diverse student population by providing a high quality education, problem solving skills and confidence to be successful in their chosen fields. Classrooms, Computing Labs, Placement Aid, Canteen, Sports, Transport, Internet. 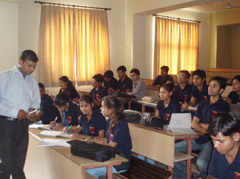 The Training and Placement Cell at AIT prepares its students to become effective professionals. 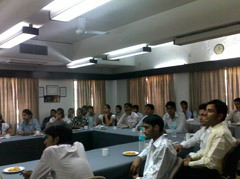 Our team seamlessly strives to strike an effective balance between recruiter expectations and student aspirations.